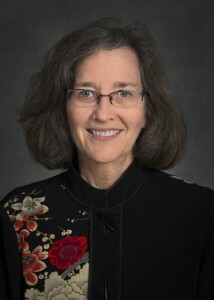 Susan E. “Sue” Celniker (Lawrence Berkeley National Laboratory) has been awarded the Society’s George W. Beadle Award for her outstanding contributions to the Drosophila community. “Sue is leading several efforts that are producing tools to facilitate studies of the genome, and is applying these tools to a myriad of functional studies. It is difficult to imagine where the field would be without her voluminous, dedicated, and expert work,” said Lizabeth Perkins, Transgenic RNAi Project Director and Associate Professor at Harvard Medical School, who was one of those nominating Celniker for this honor. Dr. Celniker has played a key role in the sequencing, annotation, and characterization of the Drosophila genome. She eagerly participated in early sequencing efforts at the Lawrence Berkeley National Laboratory and led the modENCODE Fly Transcriptome Consortium, a part of the modENCODE Drosophila project that produced foundational RNA-seq datasets that explore development, gender differences, aging and transcriptional responses to environmental challenges. Her efforts were critical to ensuring that the Drosophila genome was well-annotated, making it one of the best curated, higher eukaryotic genomes available to the research community. As the Principal Investigator for the Berkeley Drosophila Genome project, Celniker has enabled proteomic studies by creating a collection of over 13,000 clones that match annotated genes for protein expression in cells or transgenic flies and continues to develop new computational tools for genetics researchers to explore RNA-seq data. In addition to her outstanding research contributions, Dr. Celniker has been an active member of GSA and the genetics community, serving as an organizer for the Annual Drosophila Research Conference (2008, 2016), an Associate Editor for G3: Genes|Genomes|Genetics (2011–current), and a Section Editor for FlyBook in GENETICS. She is also an elected fellow of the American Association for the Advancement of Science, an Advisor for FlyBase, and an Ex-officio member of the Drosophila Board of Directors. The George W. Beadle Award, established by GSA in 1999, honors individuals who have made outstanding contributions to the community of genetics researchers and who exemplify the qualities of its namesake. Beadle (1903–1989), who served as the President of GSA in 1946, was a respected academic, administrator, and public servant. He is most recognized for his work with colleague Edward L. Tatum in establishing the “one gene, one enzyme” theory that linked biochemistry and genetics and laid the groundwork for the development of molecular biology. Beadle and Tatum were awarded the 1958 Nobel Prize in Physiology or Medicine for this groundbreaking work. The award will be presented to Dr. Celniker at The Allied Genetics Conference (TAGC), July 13–17, 2016, in Orlando, Florida. Fittingly, she is one of the organizers for this year’s Drosophila Research Conference and a member of the TAGC Coordinating Committee.